Gambling – In 2004, the WTO ruled in a case brought by Antigua against U.S. laws banning Internet gambling that the United States had signed up gambling services to the GATS under the category of “recreational services.” Thus, current state and local bans on gambling are likely violations of GATS rules requiring market access for foreign firms. State lotteries and Indian gaming compacts could also be challenged as GATS-prohibited monopolies or exclusive service provider arrangements. To date, the United States has failed to respond to the urgings of 29 state attorneys general who wrote to the U.S. Trade Representative urging him to safeguard state gambling laws from future WTO challenges by withdrawing the gambling sector from GATS coverage. Could the future of Internet gambling in the US lie in Antigua? The tiny nation of Antigua and Barbuda has scored a technical knockout against the United States in an international trade dispute that could determine the future of Internet gambling in this country. The World Trade Organization has given the United States until April 3 to allow Antigua-based online gambling companies to offer Internet horse-race betting, or face the threat of retaliatory trade sanctions. Sanctions levied by a country of only 70,000 people might have an imperceptible impact on the US economy. But the ruling offers a stark example of the challenge of regulating Internet commerce and could place the United States at odds with some larger allies that have embraced online gambling. So far, there's no sign that the United States will avoid the showdown. The US Justice Department says that Internet gambling is illegal, even though millions of Americans do it, and federal law has made an exception for horse racing. ''It looks like the US is just going to ignore the World Trade Organization opinion," said I. Nelson Rose, professor of law at Whittier Law School of Costa Mesa, Calif., and an expert on gambling law. ''Financially it's not going to be that big a deal for the United States . . . but politically, it's really a dangerous position." Mark Mendel, the American attorney representing Antigua, said failing to resolve the dispute would leave the United States in the embarrassing position of appearing to bully a small nation that is playing by the rules. That could damage the authority of the World Trade Organization, the global trade body that the United States worked so hard to establish. ''If they undermine its strength and its credibility by basically refusing to adhere to a decision," said Mendel, ''then they've kind of told the rest of the world what the WTO is really for." Antigua is considering retaliatory moves that could enable the tiny nation to punch above its weight. There's no appetite for slapping trade sanctions on US goods; that would hurt Antiguan companies and consumers far more than Americans. Instead, the country may refuse to enforce American patents and trademarks. This would make it possible for Antiguan-based companies to produce knock-offs of American intellectual property, like video and music recordings or computer software. Such a tactic would get the attention of major US firms like Microsoft Corp. and entertainment titan Time Warner Inc. It would also put tiny Antigua's trade war against the United States on front pages around the world. The showdown demonstrates the challenge of regulating an industry that can set up shop anywhere on the planet, thanks to the Internet. It also shows that America has yet to fully come to terms with legalized gambling, even though Americans spend more than $70 billion per year on games of chance. Even as Antigua presses its case, the US Congress is pushing for strict new limits on Internet gambling. The legislation and the US stance before the World Trade Organization could also cause trouble with Great Britain, one of America's closest allies. Britain already tolerates Internet gambling, and will begin formally licensing and regulating companies in 2007. An American ban on Internet gambling would lock Britain's huge online casinos out of the extremely rich US market. According to the US Justice Department, a 1961 law against telephone and telegraph betting also covers the Internet, but some federal judges have rejected that claim. A bill introduced in February by US Representative Bob Goodlatte, a Virginia Republican, would clear up confusion by explicitly banning Internet betting. Even so, a mere online gambling ban would be virtually unenforceable. According to the gambling research firm Christiansen Capital Advisors LLC of New Gloucester, Maine, Americans already make up one-third of the 23 million online bettors worldwide, despite the Justice Department's insistence that such betting violates US law. Another piece of pending legislation, this one authored by Iowa Republican Representative Jim Leach, seeks to ban US financial institutions from providing payment services to online casinos. As a result, Americans would no longer be able to use their credit cards to place online bets. The Antiguan government has denounced the Justice Department's stance and the proposed antigambling regulations, saying they would be an unfair hindrance to a small country that's counting on online wagering as a major revenue source. Antigua brought its case against the United States to the World Trade Organization in March 2003, with backing from the European Union, Canada, Mexico, and Taiwan. In 2004, Antigua won a sweeping victory that would have required the United States to abandon virtually all restrictions on overseas Internet gambling companies. On appeal, the scope of the ruling was substantially reduced. The US Trade Representative's Office hailed the ruling as a victory. ''The appellate body has affirmed that WTO members can protect the public from organized crime and other dangers associated with Internet gambling," said Peter F. Allgeier, the acting US trade representative, last April. Repeated efforts to reach the agency this week were unsuccessful. But the World Trade Organization still found that the United States could not forbid all forms of offshore Internet gambling. Despite strong opposition from the Justice Department, Congress in 2000 passed a law that permits Internet horse-race gambling in states that allow wagering on horses. And the World Trade Organization held that the United States could not prohibit Antigua from offering such services to American gamblers if they can be legally provided by US firms. Antigua's legal representative Mark Mendel interprets the ruling to mean that his client should be able to offer all kinds of online gambling to American consumers, not just horse racing. ''In a general sense we want to have access to the American gaming market," Mendel said. In any case, he said that the United States hasn't taken steps to open even horse betting to overseas competitors. ''The US has violated its obligations," said Mendel. ''It is clear that it has done so." QUEEN'S PARK, Ontario – (PRESS RELEASE) -- Ontario Premier Dalton McGuinty today signed an agreement-in-principle with the Ontario First Nations Limited Partnership (OFNLP) that sets out a new partnership for sharing the economic benefits of gaming with First Nations. "Our government is committed to building opportunity and this agreement-in-principle is an important step forward in meeting the needs of First Nations communities," said Premier McGuinty. "It provides the foundation for a stronger partnership with First Nations as we work together to invest in their communities in a number of areas such as the education, skills and health of First Nations peoples." "This agreement is designed to provide over 130 Ontario First Nations with greater financial stability," said David Caplan, Minister of Public Infrastructure Renewal and Minister Responsible for the Ontario Lottery and Gaming Corporation (OLGC). "This is a historic day and we want to acknowledge the invaluable leadership of the negotiators." In February 2005, the McGuinty Liberal government appointed former Premier David Peterson to lead discussions with First Nations on a new agreement for distributing gaming revenue to Ontario First Nations. Under a pre-existing contract that runs until 2011, Ontario First Nations receive provincial gaming revenue from a single gaming site - Casino Rama. The terms set out in today's agreement-in-principle would add to this arrangement by providing First Nations with 1.6 per cent of gross revenue from all provincial gaming, starting in 2011. Ontario First Nations would also receive approximately $155 million over the next six years. "This First Nations Gaming and Revenue Sharing Agreement-in-Principle represents a new relationship between First Nations within Ontario and the Province. It is an opportunity for our partners to build upon existing successes as well as address their community growth and development. We look forward to finalizing the agreements required to move forward," said Harvey Yesno, President of the OFNLP. "Today's announcement demonstrates Ontario's commitment to developing a true partnership with First Nations peoples," said David Ramsay, Minister Responsible for Aboriginal Affairs. "We are taking a big step forward on the New Approach to Aboriginal Affairs by working with First Nations to increase economic opportunities." The agreement-in-principle was signed by Premier McGuinty on behalf of the Ontario government and by the OLGC and the OFNLP. It provides that the parties will seek to negotiate binding legal agreements to give effect to the terms of the agreement-in-principle by December 31, 2006. Premier McGuinty thanked David Peterson for leading this effort on behalf of the Province. He also thanked the OFNLP negotiating team - Gord Peters, Joe Miskokomon, Linda Commandant, Don Morrison, Mike Mitchell, Ernest Sutherland and George Kakeway - for their vision and commitment. "This agreement will make a lasting difference in the lives of First Nations people throughout the province," said Premier McGuinty. "The increased revenue will allow First Nations to make key investments to build a brighter future for their communities and a stronger Ontario for all." Council support for larger casino? City council is expected to support the proposed expansion of the Lake City Casino in downtown Kamloops. Mayor Terry Lake said that if Burnaby-headquartered Gateway Casinos, which operates the four Lake City Casinos in the Thompson-Okanagan, proceeds with the expansion of its Victoria Street facility, Kamloops will be able to add to its inventory of attractions that make the city more of a destination for tourists. "It's another opportunity," Lake said, noting that from a tourism perspective, the lack of attractions within Kamloops has been perceived as a weakness. "I see no political difficulties with the expansion," he said, adding that he realizes there is a flip side to gambling as three to five per cent of people who frequent gambling establishments are problem gamblers. Council, however, has little control over that. "It's hard to legislate people's behaviour," Lake said. Gateway Casinos Income Fund reported its final quarter 2005 and year-end results last week. According to a press release, the fund's consolidated revenue increased 6.5 per cent from the previous year, rising to $103 million in 2005 from $97 million in 2004. "Our Lake City Casinos also performed very well, with revenue up 7 per cent over 2004," the press release quotes Gateway CEO Dave Gadhia. Gadhia did not return phone calls, and Lake City Casinos spokeswoman Suzanne Carter could not be reached for comment. Chuck Champion, president and CEO of Youbet.com discussed the launch of a new Web site, Youbet.net, Wednesday afternoon during the annual convention of the Association of Racing Commissioners International. Youbet.net will be a learning site for new players to learn more about pari-mutuel wagering. Champion talked about Youbet.net during a panel discussion entitled "Adapting New Technology to Patron Needs" at the RCI convention being held at the Hyatt Regency Tamaya Resort near Albuquerque, N.M.
"We know the sport is far more difficult to understand that most gaming opportunities," Champion said. "It requires people wanting to learn it to basically take money out of their pockets and play it. 'Dot Net' is an opportunity to play for fun and win for real. "The poker industry has done this for two or three years and built a tremendous business in the United States despite the fact it is illegal and even though there are federal acts against that activity," he said of some online poker sites. "'Dot Net' is an opportunity for people to come to the Web site, Youbet.com, and play for points as opposed to playing for money," Champion said. "There will be a lot of educational vignettes and graphics and a lot of text explaining things like 'what is an exacta,' 'what is a trifecta,' and so on." In discussing the future of advance deposit wagering sites such as Youbet.com, Champion said the largest growing segment of his market is with 21-30 year olds and that 53% of Youbet customers are under the age of 50. Great Canadian Gaming Corporation confirmed today that it has made two major appointments at Flamboro Downs and Georgian Downs. Bruce Barbour is GCGC's newly appointed vice president for racing operations in Ontario and will be responsible for the day-to-day duties at Flamboro Downs in Dundas, Ont. Barbour replaced former general manager Gerard Spoor, effective Wednesday (March 29). In addition, Chris Roberts has been appointed as director of operations at Georgian Downs in Innisfil, Ont. Roberts replaces outgoing general manager Dominic Parravano. Great Canadian Gaming Corp. moved to ease its balance sheet woes yesterday, but TD Newcrest analyst Damir Gunja isn't so thrilled with the result. The Richmond, B.C., casino company has renegotiated covenants with its bondholders and bankers and will raise $80-million in fresh equity. The good news: Chief executive officer and chairman Ross McLeod is putting up $50-million of it. The bad news: The terms are rather sweet. Not only will Mr. McLeod and other participants get 6.2 million shares at $12.89, a discount to the current market price, they'll also get a warrant for more shares that won't expire for two years. The deal and the dilution sent Mr. Gunja back to his spreadsheets, and he took a hatchet to his estimates. Great Canadian will earn 37 cents a diluted share this year, he figures, a substantial drop from his previous estimate of 55 cents. Great Canadian in Toronto yesterday, putting the stock at times TD's profit estimate. "GCD continues to trade at a healthy premium to its U.S. counterparts," which is "somewhat justified" because B.C. is a less competitive gambling market, Mr. Gunja wrote. But with worries about "management depth and credibility," the premium seems a bit too high, so he cut his rating to "reduce" from "hold" with a price target of $11. Belleville is going under the microscope in a ground-breaking before-and-after study to gauge the impacts new slot machines will have on the city, The Intelligencer has learned. When completed, the multi-million dollar study by globally-recognized gambling experts is expected to provide previously uncharted information into how gambling expansion has benefited or harmed the community, said organizers. “This is probably the first time in the world that a research team can go into a community, collect baseline data before the gaming facility opens and then track the community for four years afterward,” said Judith Glynn, director of grant operations for the Ontario Problem Gambling Research Centre. The centre was created by the province to monitor the social trends and needs of communities and individuals in the days after Ontario expanded legalized gambling beyond horse tracks and lottery tickets. “In this field, as far as we’ve been able to determine, a study of this magnitude has not been done before,” Glynn said in an interview Tuesday from the Guelph-based centre which is spearheading the ambitious project. The $3.1-million, five-year study will begin collecting data in coming weeks, a year before a proposed $30-million slots parlour and horseracing track is expected to open in the spring of 2007 on city land off Bell Boulevard. Toronto-based Baymount Corporation was given a clean bill of health last week by the province to host a slots parlour that is expected to contain at least 200 new gambling machines the facility may draw up to one million visits a year. Once the pre-opening data is collected by the study’s academic researchers, they will then track trends for the next four years in Belleville. Researchers will look for anomalies or spikes in social, cultural and economic data, for example, ranging from increased crime to changes in spending of personal disposable income. The study is being funded by the Ontario government, in part, from the $36 million the provincial government sets aside every year from the billions of dollars in gambling proceeds it collects from casinos and slots parlours across Ontario. Glynn confirmed the research centre will announce this Friday which research team has won a global competitive bidding process to conduct the five-year study. Glynn said the centre will introduce its research team to Belleville’s civic and community leaders in an invitation-only meeting at a Belleville hotel at week’s end. Researchers will talk about the methods they will use to weigh the effects of gambling in the city over the coming years, Glynn said. The request for proposals process drew interest from leading academics and researchers from around the world, including New Zealand and Australia to the United States, Glynn said. “This was a competitive award, we had researchers from all over the world ... it was virtually a who’s who of gambling researchers worldwide,” said Glynn. Story continued from page 1. Interest was extremely high in the project, she said, given the unusual opportunity to study a market before and after high-stakes gambling sets up shop in the city. “It’s not a market that is completely covered by an existing gaming facility,” said Glynn, adding slots do exist at Kawartha Downs to the west and at the casino in Gananoque. The fact that Belleville is also the last of 18 racetracks in Ontario to be approved for slots is of importance to researchers, she said. Gambling studies do not usually have the luxury of stabilized funding over five years to measure long-term effects of gambling, she said. “A project like this will help us understand what the benefits are, what the potential problems are and who’s at risk,” said Glynn. The study will also give residents of Belleville and area who are worried that gambling will ultimately hurt the community a credible yardstick on which to measure whether slot machines are good or bad for the city, she said. During a decade of debate on slots in Belleville, critics have argued there will be a detrimental effect on the city through increased gambling addiction and lost business income because the gambling machines will cannibalize existing businesses. Supporters of slots say the machines will create new jobs, attract tourists and will give the municipality millions in host-municipality revenues. Glynn called the research centre’s effort a “serious, objective study to study what happens when you introduce gambling to a community. We will share information as it becomes available. I hope people will be pleased that they will know more than any other community the impact of this. “No other host community has ever had this kind of information,” she said. The New York State Racing and Wagering Board ushered in a new era in pari-mutuel wagering in the state Tuesday when it authorized both the New York Racing Association and Capital District Regional Off-Track Betting to begin separate cash rewards programs for bettors on a one-year trial basis. NYRA Rewards Program players will receive one point for every dollar wagered on a race at one of the three NYRA tracks — Aqueduct, Belmont, and Saratoga Race Course — and half a point for every dollar wagered on a simulcast race within one calendar month. No reward points will be given for any pari-mutuel payoff of $2.10. The minimum number of points needed to earn a cash reward is 2,000, which will return a 1% cash reward for either win, place, and show wagers as well as two-horse multiple wagers or exotic wagers. 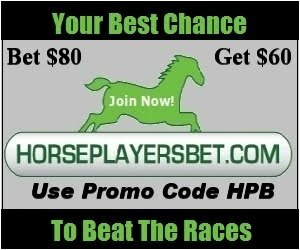 A bettor earning 500,000 points would get a 3% cash reward for win, place, and show wagers, 4% for two-horse multiple wagers, and 7% for exotic wagers. The first day of each month triggers a new point count, meaning points are not carried over from one month to the next. Rather than shoot out of the gate in Manitoba, George Isman says the horses he trains will race in some other province unless the provincial government allows the Wheat City Horse Park to get up and running fast. “From my point of view, this is life or death in order to keep the industry going,” Isman, a standardbred trainer from Gladstone, said at the Royal Manitoba Winter Fair yesterday. Local horse breeders and trainers are anxious to know whether the province will give the go-ahead for a group of Manitoba and Ontario investors to build a harness racing track and entertainment complex on the outskirts of Brandon. The Wheat City Horse Park proposal, which would feature a harness track, a restaurant, video lottery terminal lounge and simulcast betting on other horse races, is before the government as it considers whether to allow it to have a licence for VLTs. The option on the land the developers eyed for the park expired March 15, so the group is looking at other properties and hopes to have the facility open by next summer. The province has capped the number of VLTs in the province at just over 5,000, so the horse park developers are applying to have terminals moved from other locations to their facility. Colin Lemoine, a spokesperson for Lotteries Minister Scott Smith, said a final decision hasn’t been made on the horse park. He reiterated yesterday that the VLT cap will not be relaxed for the horse park and that putting a larger number of machines there would mean moving them from other businesses in Brandon or other rural communities. Fred Gilbert, who raises standardbred horses near Brandon and races them both here and in Alberta, said the local horse industry needs the facility if harness racing is to survive in rural Manitoba. Without it, Manitoba is missing an opportunity that provinces like Alberta and Ontario are taking advantage of. He said a permanent home for harness racing would not only mean horse breeders like him would train animals here rather than in Alberta, but that it would create a lot of jobs for veterinarians, blacksmiths, groomers and others whose job it is to care for the animals. “It’s a big spin-off business,” Gilbert said. The province currently gives $500,000 a year to the Great Western Harness Racing Circuit, which holds races in several rural communities each summer. Gilbert said the weekend races are “good, cheap entertainment” for many people, but that it can’t be sustained here without a permanent racing and training facility. Otherwise, he said more trainers will take their animals and go to Alberta, which not only offers more race days at permanent facilities, but also gives financial incentives for Alberta-bred animals. “Economically, as far as dollars and cents, it’s not a good investment. You can only race two-and-a-half months of the year here and by the time you pay a trainer, it’s very expensive. In Alberta, I’ve got two horses that have made $12,000 in the past two weeks,” Gilbert said. Isman, who just sent three horses to race in Ontario, agrees, saying there aren’t enough races in rural Manitoba to sustain the breeders and trainers in the local equine industry. “We could race another three or four months here, revive the industry and get people who are hanging on now to go in more races and keep them going,” Isman said. "Development of Exhibition Park Raceway into a racino will certainly contribute to the economic growth of the city," says Board president, Imelda Gilman. Officials at Woodbine Entertainment Group announced March 28 that the Ontario-based racing and entertainment company will install a Polytrack surface on its one-mile main dirt track at Woodbine. Construction is to begin in early July. No announcement has been made on what will happen to live racing during the renovation. Woodbine will become the second major North American racetrack to instate the all-weather synthetic surface, which is comprised of polypropylene fibers, silica sand, recycled rubber and other materials, and a wax coating. "At Woodbine we're proud of the quality of our racing program and committed to being a leader in our business," said David Willmot, WEG's chairman and chief executive officer. "We have a responsibility to help ensure the safety of our sport's athletes--both human and equine--and we're convinced Polytrack is safer. We also believe our customers will welcome the opportunity to wager on racing that is consistent, and competitive." Turfway Park installed Polytrack in August 2005. In 2004, Keeneland, which owns Turfway in partnership with Harrah's Entertainment, put the footing in place on its five-eighths-mile training course, making it the first public facility in North America to do so. *It will be interesting to see what they will do about live racing. I thought they were going to put dirt on the harness track. Woodbine hopes to have installation completed and the track open by September 1. "A casino is not the total answer for revitalizing downtown, but it definitely would be good for business because of the tourists it would attract," Vickie Ledsworth, president of the Greater Port Huron Area Chamber of Commerce, said. "It would bring people down here, and hopefully they'd go into the shops and see what we have to offer." RICHMOND, BRITISH COLUMBIA--(CCNMatthews - March 27, 2006) - Great Canadian Gaming Corporation (the "Corporation")(TSX:GCD - News) announced today that it has reached an agreement with the lenders of its syndicated bank credit facility and holders of its Series A and Series B Senior Secured Notes (collectively, the "Debt Facilities") to amend certain terms of its Debt Facilities. As part of the agreement to amend the Debt Facilities, the Corporation also announces an $80 million private equity placement. OLGC Purchases 245 "New Age Video Casino Games"
USTA registrations have gone "paperless"
The U.S. Trotting Association has introduced what it is calling a “paperless registration certificate,” meaning that, effective immediately, the owner of a horse can request that registration certificates be held electronically at the U.S. Trotting Association. When the USTA is informed that a horse will be “paperless” it will no longer be necessary to have the registration papers in hand when buying or selling that horse; the fact that the horse is registered as “paperless” will be noted in the official records of the Association, and only a transfer slip will be needed to complete a sale. The USTA will still issue a first-time registration certificate, as it always has, when a new foal is registered, but after that any certificate can be made “paperless” by checking the certificate in the appropriate place and mailing it back to the USTA. If you possess one of the many older certificates that do not have this section, simply write somewhere on it that “this should now be paperless” and then mail it back to the USTA. In the latter case the actual registration certificate, signed by the owners, would be needed to proceed with a transfer. In addition, if a horse is paperless a transfer slip may be obtained online, from the “Membership and USTA Services” section of www.ustrotting.com. This new transfer slip has a section to check if you would like a horse to become paperless. If for any reason an owner needs the actual paper registration certificate he or she can simply contact the USTA and one will be issued. The U.S. Trotting Association is always looking for ways to make things easier for its members, and hopes that many of them choose to take advantage of this new option. Those who have questions about paperless registration certificates should contact USTA Customer Service at (877) 800-8782, ext. 81. Chairman Charles Champion credits the improvement in core handle with strong growth in Youbet's customer base and increases in wagering by the 21-year-old to 40-year-old age group. MOSCOW – As reported by RIA Novosti: "The lower house of parliament passed Friday the first reading of a bill on the government regulation of gambling. "The bill went through with 300 votes in favor and 105 against with one abstention. "The document lists gambling activities in the country authorized by the government, which include casinos, slot machines, and bookmaker offices. "The bill also bans unlicensed gambling business, and encourages the consolidation of gambling businesses and regional quoting. "The bill, proposed by pro-presidential party United Russia, requires establishments to have net assets of at least 600 million rubles ($22 million) and the win percentage of a slot machine to be no less than 80%…"
Brother Derek, who won the Santa Catalina Stakes on March 4th is owned by Calgary's Cecil Peacock. Racing starts at Stampede Park on Friday. Horse Racing Alberta has received word from the provincial government that the racing industry will receive a 10-year extension on its slot machine contract. Today's Edmonton Sun reports that, providing HRA continues to meet its annual financial performance measures with the government, slot machines will continue to operate until at least 2015. "Without this slot deal and the vision of this government, we would be racing for a third of the purses we are right now," Ted Billo, executive director of the Alberta Standardbred Horse Association, told Sun reporter Jonathan Huntington. "And you would have to question if we would have an industry (right now)... if we would be racing for a third of (today's) purses." Currently there are close to 1,000 slot machines divided between Alberta's four racetracks. The racing industry receives 51 per cent of the revenue from the majority of those machines, which in 2005 amounted to $41-million. Prior to this announcement, only short-term contracts were in place that provided little stability for the industry. "Everybody was sitting on the edge of their seat, wanting to know: is this an industry they can truly invest in?" said Dr. David Reid, HRA's chairman. Reid said that he does expect some criticism about the Alberta government's choice to invest in racing rather than more money for education and health care. "The contract is nothing about giving money. It simply says we can have the tools and make sure you use them wisely," he said. "We earn the money (through marketing and operating slots) and in the process we're supporting the Alberta Lottery Fund and generating an annual economic impact of $355 million. "That means we have been able to give the government $9 for every $1 they invested in us," he explained, based on the $41-million generated by the slots last year. A bill that could have led to casinos at the eight racetracks in Kentucky appears to be a dead issue after House leaders on Wednesday prevented the bill from getting to the House Floor. The bill was sent to the House Appropriations and Revenue Committee, where many bills go late in the session to die. The House had to act on the bill by Wednesday, either sending it to the floor for a possible vote or sending it to the committee. Click here for a free Racing Form for Dubai's big day, courtesy of Equidaily. LOCKPORT - Niagara County legislators said Tuesday they are against a proposal to require a passport or similar document for Canadian and U.S. citizens entering the United States from Canada. Average daily projected overnight purses will increase to a record $133,000 per day. That figure tops the previous record daily purse level of $121,000 set last year. The increase will be $500 per race. Drug That Stops Compulsive Gambling? A drug to stop gambling? Published reports state a University of Minnesota psychiatrist has found a drug that compulsive gamblers can take to diminish their urge to gamble. Dr. Jon Grant has reportedly found that a drug called nalmefene dramatically reduced gambling thoughts and cravings. Dr. Grant completed a test study of 207 gamblers at 15 outpatient centers across the country. Grant discovered a problem in that two-thirds of the patients dropped out before the study was finished. Sixty percent of those who took the drug reported significant improvement in beating the urge to gamble, compared to 34 percent who took a placebo. The pill was developed by a company in Finland. It is an opiate blocker that affects the part of the brain associated with addictive behavior, interfering with the chemical reaction that produces the euphoria or rush of addictive behavior. A side effect was nausea, which may have contributed to the high drop-out rate. OHIO – As reported by the Cleveland Plain Dealer News: "The advent of spring heralds the promise of a new cash crop for Ohio -- casinos. "A deal may be imminent for a casino initiative on the November ballot, while the Eastern Shawnee tribe of Oklahoma is pushing new resort deals that could include settlement of its federal lawsuit against Ohio. "Sources say owners of Ohio's seven racetracks are close to agreement with Forest City Enterprises Inc. and developer Jeff Jacobs over a November ballot issue that would ask voters to approve slots parlors at tracks, plus two sites in downtown Cleveland and one site in Cincinnati. "But Cleveland's top business, labor and public officials are pushing for full-fledged casinos -- slots and table games. "Track owners have proposed a compromise -- after four years, voters in the counties with the racetracks and slots parlors could vote to bring in table games, sources said…"
Massachusetts citizens stand to benefit from the estimated 4,000 jobs and $500 million in revenue the slots are expected to generate each year. A bid for 2,000 slot machines in each of the 4 race tracks in Massachusetts will be voted on April 5th. FUN Technologies has announced that its wholly owned subsidiary, SkillJam Technologies has acquired WorldWinner.com in a $23 million deal. This strengthens their position at the head of the highly competitive market and fast-growing casual gaming market. WorldWinner already awards millions of dollars in prizes every month and an average of 350,000 games are played on WorldWinner daily producing yearly revenue of $10.67 million for the 12 months ending December 31, 2005. In the short term WorldWinner's products will continue to be, but in the near future there will be some level of integration with the SkillJam property. Gural, a New York City real estate magnate, and partners plan to spend about $32 million to reopen Tioga Park as Tioga Downs racino by May 27, with harness racing expected to start June 9, pending regulatory approval from the New York State Racing and Wagering Board and possible construction delays. The track with 750 video slot machines is expected to create about 375 jobs in a variety of occupations. Ground was broken on the project in July 2005. VANCOUVER, British Columbia (Reuters) - Casino and racetrack operator Great Canadian Gaming posted a fourth-quarter loss on Monday and warned it may breach its debt covenants at the end of the month. the construction phase of the development." Goals and objectives plan by the ORC is available here. Woodbine Entertainment Group has announced that its horseplayers will now be able to bet the Win 4 wager for as little as 20 cents per combination, beginning April 1. Last season, in a similar innovation that was well-received by customers and other tracks alike, WEG introduced a 20-cent minimum on the popular Superfecta, an exotic wager requiring customers to select the top four finishers in one race. Like the Superfecta, customers will be required to play at least five combinations for a minimum total bet cost of $1. Television displays will continue to show the $1 payout. A winning 20-cent wager will be worth one-fifth of the displayed price. Typically held from Races 4 through 7, customers will be able to play the 20-cent Win 4 at SAM self-serve machines and through hpibet.com. The Woodbine standardbred record for a $1 Win 4 is $39,917.95, which was set on June 21, 2004. The Mohawk standardbred record for a $1 Win 4 is $46,771.20, set on October 29, 1991. Americans are gambling more than ever and generally say they support state licensing of lotteries, casinos, horse and dog tracks and charitable bingo parlors, according to a new Scripps Howard/Ohio University poll. Following a ten months anti casino public campaign the Montréal Casino initiative was canceled. The $1.2-billion project's aim was to build an enormous casino complex at the Sud-Ouest borough in Montreal. Besides the casino itself there were other entertainment facilities to be built around it. The casino would have a performance center, a convention hall, a shopping mall and even a spa inside the complex. The casino complex could produce 6,000 new job opportunities for the people in the area. 'The legislation does include exceptions for horse racing. A U.S. House committee approved a bill aimed at curbing the Internet gambling industry by stopping business from accepting credit cards and other forms of payment. The bill, heard by the House Financial Services Committee March 15, would prohibit a gambling business from accepting credit cards, checks, wire transfers, and electronic funds transfers in illegal gambling transactions, according to Jay Hickey, president of the American Horse Council. The bill, sponsored by Republican Rep. Jim Leach of Iowa, now moves the House floor for consideration. "A U.S. House committee on Wednesday approved a bill aimed at stamping out the $12 billion Internet gambling industry by stopping businesses from accepting credit cards and other forms of payment. "The bill, cleared by voice vote in the House Financial Services Committee, would prohibit a gambling business from accepting credit cards, checks, wire transfers and electronic funds transfers in illegal gambling transactions." $20 billion to provincial government programs and services across the country. any other jurisdiction in the world. lottery terminal (VLT) gaming activity in Canada. Canada is leading the way with responsible gaming programs". its introduction in the early 1990s, with a gradual stabilization of growth. approximately $6 to $7 billion. almost 22 per cent of this total. spends more annually in this regard than any other jurisdiction in the world. key decision makers and the media through education and advocacy. their livelihood," said Mr. Rutsey. sport, entertainment and public assembly venues. information, please go to www.canadiangaming.ca. at Racetracks" in Ontario and "Racetrack Casino" in British Columbia). 30 per cent depending on the province. - All provinces pay for capital and virtually all operating costs. grants and/or specific program areas, such as health and education. received approximately $6 to $7 billion. gambling than any other jurisdiction in the world. installed on the VLT terminals themselves. effectiveness of these machine and program features. implemented by all provinces covering their entire gaming industry. awareness. All new machines include these features. - Most provinces have replaced their initial VLT machines since 2000.
software) before they are put into operation. restrictions programmed into the terminals. - None of the VLT programs in Canada offer credit to patrons. Betfair allows people to bet while races are going on select races, usually from England. The gambler bet 20 pounds, and was willing to take 7-1 odds, but during the race someone offered 999-1 for the winning horse who was sitting in 14th place with only 3 hurdles to go at the time the wager was placed and accepted. Stronach to take interim CEO position. MegaBucks $1 progressive slot machine. Calvin Ayre 44, who grew up on a pig farm in Saskatchewan and graduated from the University of Waterloo, made his money as a cyber bookie. His operation is based in Costa Rica because Canada insanely won't make internet gambling legal here. "He started the company 10 years ago with $10,000. By the end of 2005, it was estimated Bodog.com had taken in $6 billion (U.S.) in wagers." Residents who are angry that Governor Pataki has not released the local share of 2004 revenue from the Seneca Niagara Casino. The $11.6 million is sitting in a bank account still. The hold up seems to be a disagreement between Pataki and the local government on how to spend the proceeds. This time it will be an extra $1000 a race, Stakes races are unaffected. Ten days ago they increased purses by $700 per race. "Revenue from Hollywood Slots in Bangor continues to climb with February producing more than any preceeding month. Revenue has increased every month. The total gross revenue for four months was $134.5 million with $921,188.86 already added to the purse account for Maine harness racing. With less than a month to go before Scarborough Downs opens, purses will receive an early boost. The net revenue, from which purses receive 10 percent, was $1,968,320.45 in November, $2,187,332.84 in December, $2,408,763.58 in January and $2,647,472.80 in February. It was thought that the nearly $2 million net revenue in November might decrease after the early wave of excitment calmed. Exactly the opposite has occured. February, despite being a short month, prduced $679,152.35 more net revenue than did the opening month." Casino and Gaming Television Canada (CGTV) announced a carriage deal for the network with Videotron. CGTV is available on channel 59 to Videotron illico Digital TV customers. CGTV is described as the first and only television network in North America celebrating the casino and gaming lifestyle, showcasing what it calls the glitz and glamour of the casino industry, taking viewers inside the gaming entertainment experience, while delivering the inside track on lotteries, sports wagering and fantasy sports leagues. To be announced at a later date, CGTV plans to provide a full suite of interactive television ("iTV") products including "Play for Fun" sweepstakes-based games or "Play for Fun" subscription based games, including virtual racing games, bingo games, keno type games and more. CGTV Canada is a partnership between the Kilmer Group, Len Stuart and Associates and the Debono Group. The network is operated by Insight Sports Ltd.
"We're excited for viewers in Quebec that CGTV is now available on illico Digital TV," says Mark Rubinstein, President, Insight Sports. "CGTV serves one of the fastest growing entertainment categories in Canada – and we look forward to a great relationship with Videotron." The partners of CGTV Canada have investments in various sports, entertainment and gaming operations across North America. These include: Maple Leaf Sports and Entertainment (the Toronto Maple Leafs, Toronto Raptors and the Air Canada Centre), NHL Network, The Score, Insight Sports, Boardwalk Gaming and Entertainment (the largest licensed operator of Charitable Gaming Centres in Canada), Bingo King (the largest gaming ticket permutation printer in North America), the Royal City Star Casino in British Columbia, the Second City comedy clubs across North America and SCTV Television. About Boardwalk Gaming and Entertainment Inc. Boardwalk Gaming and Entertainment is a partnership of Kilmer Group subsidiary Penbingo and Len Stuart. Boardwalk and its partners are the largest owner/operators of charitable gaming centres in Canada with 25 facilities in Ontario and four in British Columbia. Boardwalk Gaming and Entertainment is the owner of Boardwalk Media. Boardwalk Media has four unique operating divisions: a leading secured gaming private network broadcast and production company that links pay to play gaming facilities across North America for various state and provincial governments; Virtual Private Advertising Networks in retail stores, restaurants and bingo centres via satellite or Internet Protocol (IP); a full service television production and distribution centre fully equipped with master control, edit facilities and production studio; and specialty gaming style promotions for various retail and entertainment based companies. The Boardwalk group of companies employ over 1000 full and part-time staff. Insight Sports Ltd. is a leading sports media and entertainment company. Insight Sports operates three specialty television networks: CGTV, Casino and Gaming Television; GOLTV Canada, a 24-hour soccer network; and WFN: World Fishing Network, North America's only network devoted entirely to fishing. The company also holds a significant interest in the NHL Network, a 24-hour hockey channel. Insight Sports creates and distributes sports and entertainment content across multiple platforms, including broadcast television, DVD, on-line, mobile, in-arena and video on-demand. Based in Toronto, the principal shareholders of Insight Sports include Larry Tanenbaum (Kilmer Enterprises Inc., a subsidiary of Kilmer Van Nostrand), MWI & Partners, a private equity fund, and IMG, a global force in athlete representation. 'At question is the recording of expenses by the company to present its numbers in the best possible light. The article explained that the B.C. Government helps casino operators with expansion plans. If for example a company spends money to add slot machines it can apply for reimbursement. If approved by the B.C. Lottery Corp., the casino is allowed to keep an extra cut of gambling revenues until those costs are paid for. However, it could take years to recover the investment but GCG books a portion of the money in advance using a variety of complicated assumptions and interest rates according to the report. This allows the company to report lower expenses and a rosier financial picture. Hoping to bolster Racino numbers. Construction can't begin without various state approvals, and they're coming at a painstakingly slow pace. Video lottery terminals won't be installed at Aqueduct by December as previously expected, costing New York Racing Association nearly $11 million, officials said Tuesday. 11% of slot machine profits go to the purses in Delaware. 2,000 horse farm operations are now scattered around Delaware. Wilmington went from 100 employees to 1400. Massachusetts is looking closely at Delaware, slots may be on the horizon. A study by the Canadian Tourism Commission estimated that the rules changes would mean 7.7 million fewer trips by Americans to Canada during the first three years the rules are in place, costing the Canadian tourism industry $1.7 billion. U.S. tourism receipts would drop by $785 million over the same period because of 3.5 million fewer Canadian visitors to the U.S., the report said. Last year, 31.7 million Americans visited Canada, with 24.5 million crossing the border by car, according to Statistics Canada, a Canadian government agency. In 2004, the last year for which the agency had data on the question, 13.9 million Canadians traveled to the U.S.
How would you like to get a half-million dollars to tell people how to do their job less effectively? Would you feel cheated if you were prevented from actually carrying out your inefficiency study? Recently, a news story suggested that just this sort of thing has happened north of the border. An Ontario marketing professor successfully received about $500,000 (Can.) to "study how casino design affects gambling" with an eye toward suggesting how casinos can redesign themselves to be less conducive to gambling. Putting aside for a second the seeming absurdity of asking a marketing professor to advise a business to make itself less attractive to customers, the idea that casino design encourages gambling is hardly a revelation. But the professor applied for and received a grant from the Ontario Problem Gambling Research Centre, a body created by the Ontario Ministry of Health and Long-Term Care. The story gets interesting because another provincial body, the Ontario Lottery and Gaming Corporation, runs the Fallsview Casino in Niagara Falls, where the professor in question planned to intercept patrons, watch them play and ask them about their gambling. The OLGC, which is charged with running Ontario casinos with an eye toward the bottom line, balked at helping the professor. Still, there is a happy ending: armed with another $500,000 grant, the professor launched a three-year study using 3-D images of gambling halls to test potential patron reactions to different settings. It sounds almost like "The Matrix" with slot machines. Why might casino operators be sensitive to charges that their designs induce gambling? Commercial gambling is based on the premise that customers will lose more than they win. The house edge is, in a sense, the premium players pay for the privilege of playing any time they want in an honest game. Like any other business, casinos use marketing to lure patrons in. Casinos are obviously designed to facilitate access, comfort and pleasure. But where does clever marketing become psychological manipulation? Pathological gambling is probably as old as gambling itself (which might be as old as 40,000 years). Though problem gambling isn't confined to any particular type of gambling, the commercial casino industry, as the most visible legal gaming industry, shoulders a great deal of the public relations burden for it. One could argue that other forms of gambling, from bingo to illegal sports betting, are just as amenable to problem gambling, but casinos make attractive targets because they are large and flashy -- unlike lottery outlets or off-track betting, which are usually unglamorous. It makes sense that casinos would want to make themselves as attractive to patrons as possible. Isn't that, after all, what most businesses do? Urban legend credits casino designers and operators with a pitiless knack for identifying and exploiting human weaknesses: flashing lights, bright carpet, loud noise and pumped-in oxygen, all causing unwitting players to lose their inhibitions and gamble without stopping. This legend gives casino operators a bit too much credit and casino patrons too little. Though a small proportion of gamblers have legitimate problems knowing when to stop, most of those who enter the casino are perfectly able to set time and loss limits. The Ontario study posited that the urban legend is right: bright lights, clanging coins and garish carpet push patrons into a state of cognitive debility, where they have little choice but to continue gambling. But thousands of people work in casinos every day; few of them tarry even a second before hurrying off the floor at the end of their shift. For many, repeated exposure to the "cognitive overload" of the casino leads to indifference, or even open distaste, toward any form of gambling. Most gamblers make rational decisions about how much to gamble, and many would be insulted at the implication that they are consistently tricked by lights and noise into them doing otherwise. Those who cannot control their gambling need help, and the first step is to keep them out of the gambling environment. Modifying casino design by dimming the lights or showing gamblers pictures of children with balloons -- seriously, that's one of the suggestions of the pending study -- will not help them and may do more harm than good by suggesting that a problem gambling can't happen in a "safe" casino. Gambling is a phenomenon that, as persistent as it has been, is at its heart little understood. It needs more academic study from many perspectives. But spending $1 million to tell casinos how to make themselves less attractive to customers -- in a well-intentioned but misguided attempt to ameliorate problem gambling -- is probably a bad bet. A bill that proposes to ban advertising by unauthorized Internet gambling Web sites in the Canadian province of Ontario received its second reading in the Ontario Legislature Thursday morning. It was approved by a voice vote and will go to a standing committee on justice policy for review. "Advertising today as we all know is a way to entice people to participate, so I thought that attacking from this perspective would be the way to go," said Liberal MPP Jeff Leal, author of the bill. "I've been concerned about youth gambling here in Ontario," Leal said. "The fact is that Internet gaming certainly seems to target 18- to 25-year-olds, and we've certainly become aware up here of the need to address addiction, potentially a very serious problem. "Secondly, what it is doing is draining dollars away from the established gaming industry here in Ontario, which is controlled by the government of Ontario. I'm talking about horse racing and activities through the Ontario Lottery and Gaming Corporation. That money of course flows back to the government of Ontario, which then we use to invest in education, health care and other programs." No person shall print, publish, distribute, broadcast or telecast an advertisement or representation that includes an Internet gaming business website address unless the person believes in good faith that the Internet gaming business has been licensed or otherwise granted permission to operate in Ontario or Canada by the appropriate authority and is operated in accordance with the applicable laws of Ontario and Canada. When asked by IGN whether the bill would apply to ads that do not display a "Web site address" or to ads found on Web pages, Leal responded, "I think as the bill goes to committee, these are the kinds of issues that need further discussion and identification, and that's why it was so important to get the second reading today and get it off to committee. I think there is a real interest to thoroughly examine this issue, but this discussion may also generate a lot of interest in pursuing things in a variety of areas." Speculating how long the issue will remain in committee is difficult because the committee sets its own timeframe, but Leal says he will try to persuade the committee chair to get the bill on the agenda to start a discussion, which he considers a critical first step. It is still the early days of the bill's progress, he noted. Leal also stated that he has received encouragement from government cabinet members, and that representatives from a number of groups are likely to provide testimony to the standing committee, including individuals from the Ontario Lottery and Gaming Corporation-- the government-run business that operates casinos and lotteries in Ontario-and problem gambling activists. Leal also verified that representatives from Internet gambling businesses are welcome to provide information to the committee. While competition from Internet gambling companies may be taking a toll on Ontario's gambling industry, it is certainly not the only culprit. The industry has also relied to some degree on American patrons, but new American casinos and border slowdowns since Sept. 11, 2001 have stifled gambling operations in border areas. "Many of these border areas are very concerned about layoffs in the gaming sector," MPP Tim Hudak explained to CTV Canada earlier this week. "People are just not coming across the border like they used to." Click here to view Ontario Legislative Assembly Bill 60. Standardbred Canada's Industry Marketing Department will host a National Marketing Workshop from April 5-7 at the Radisson Hotel in Mississauga, Ont. The purpose of the workshop is to bring marketers of Canadian harness racing together to share tools and resources to market harness racing, share ideas and information, and to review resources and templates that the Industry Marketing Department has available for various programs. The ORC head office has moved to its new Etobicoke location, 10 Carlson Court. The office is just east of the Lester B. Pearson International Airport, near the intersection of 27 Highway and Dixon Road. The new phone number is 416-213-0520. A new racino in Ajax held a pre-opening VIP reception on Tuesday to showcase the venue that is expected to generate about $2 million a year in revenue for the city and $1 billion for the province. Ajax Downs, a 75,000-square foot gambling operation features 200-slot machines, a bar and a lounge -- in addition to the existing racetrack. The facility, a short drive east of Toronto, is also slated to create 200 jobs and lure local gamblers. Since Sept. 11, border slowdowns, new American casinos, Internet poker and a stronger dollar have crippled the Canadian gaming industry that heavily relies on American patrons. "Many of these border areas are very concerned about layoffs in the gaming sector," MPP Tim Hudak said Tuesday. "People are just not coming across the border like they used to." The racino will open this weekend. What does a 16 million dollar horse look like? Here is his catalogue page. Here is a video of his 9 4/5th one furlong workout. Non stake races at Oaklawn will go up by $700 across the board thanks to a 62% increase in their Instant Racing machines and a 12% increase in handle. Instant Racing had its first $1-million day in handle Feb. 21 at Oaklawn Park. Total Instant Racing handle was $1,012,483 on a day when Oaklawn reported on-track attendance of 33,310. President's Day traditionally attracts one of the largest crowds of the season. Oaklawn general manager Eric Jackson said that for the year, Instant Racing handle is up 151% from the corresponding period in 2004. Through Feb. 21, the devices have handled $19,568,126, up from $7,792,237. "We are excited about what this does for our racing product," Jackson said. "We are building purses for live racing, and later (in the week of Feb. 21) racing staff will be meeting to determine how best to use the additional purse money that Instant Racing is generating for the remainder of the 2005 season." On Feb. 23, Oaklawn announced purses would increase $500-$1,000 per race. Field size thus far at the meet has averaged 9.7 horses per race. Jackson said the Arkansas Department of Finance and Administration has requested tax money from Instant Racing be remitted daily instead of monthly because of the level of play. The devices are expected to produce about $1.5 million in tax revenue for the state this year. Meanwhile, through 18 racing programs, Oaklawn reported 10% increases in live and simulcast handle. Instant Racing is also available at Southland Greyhound Park in West Memphis, Ark., and at pari-mutuel facilities in Wyoming. Four thoroughbreds worth at least $20,000 perished in a barn fire in Fort Erie last night. It is believed that 2 were pregnant mares. The Fort Erie fire department was alerted to the blaze at 10:30 p.m. by two U.S. men who were driving through the area at Helena Street south of Garrison Road. By the time firefighters arrived, the barn was fully engulfed and there was no way to get the horses out. The barn was locked because it is an isolated spot and the owner doesn't live on the property. Deputy chief Keith German believes the blaze was started by an electric heater that was in use to kept water troughs from freezing. "He had (the heater) going because of cold temperatures," German said. Damage for the building was pegged at $40,000. German said the young men were driving by and saw a glow in the distance. When they went to investigate, they saw flames shooting out of the windows. They had to search for a phone in an isolated area to call for help. German said they didn't have a cellphone and weren't sure exactly how to locate the barn fire. Up to 23 firefighters stayed on scene until 4 a.m. The colt was purchased last year for $425,000 US. His breeding isn't phenomenal, by Forestry out of Magical Masquerade, but he had a one furlong workout in a very swift 9 and 4/5th seconds. Irish stallion station Coolmore Stud purchased the horse. Their bid beat a bid by a representative of the ruler of Dubai, Sheikh Mohammed bin Rashid al-Maktoum, by $500,000. How about the name Magical Forest? 37 Graded Stakes have been announced for the upcoming year, including 3 Grade 1 Stake Races: the Canadian International, E.P. Taylor, and Bell Woodbine Mile, formerly known as the Atto Mile.